A basic description of marks. Written letters are a form of mark making that we have given meaning to, which then enables us to convey meaning through the combinations of those written marks. All drawing and painting consists of marks being made on a flat surface area, on their own or in clusters, these marks form a representation or illusion of being something else. 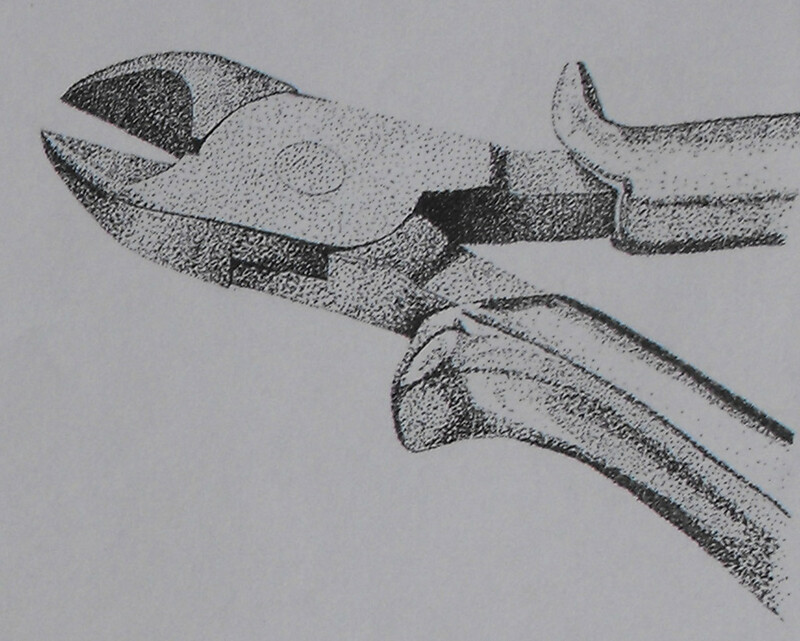 There are two distinct forms of mark making that are very different, they are tonal modeling and hatching, although there is one other called pointillist which is generally a hatching technique using dots or as shown below in the digital images can be created with square pixels. Pointillist drawing or painting is another technique or method used to create images and it is good for developing your drawings skills, as it enables you to slowly build up your images, giving you lots of time to focus on small refined details, as well as the overall construction of any subject you might be drawing. Pointillist drawing look very impressive usually and often pass for photographs when vied from a distance. In fact old style photographs where also a type of pointillist image because they where made up of millions of tiny silver crystals that changed according to the light levels they where exposed to. Even digital photographs are made up in a similar way with squares instead of circular dots. 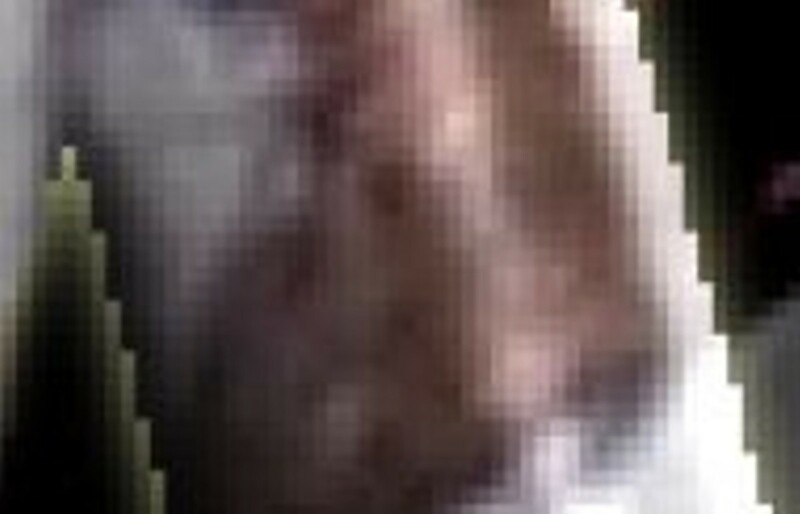 A close up of digital pixels. Below you will find a video of a drawing created with paint, it is the culmination of thousands of tiny decisions about every brush stroke and every mark, with some of them the result of happy accidents. This painting took me a lifetime to paint and you can tell I have been practicing. It doesn't matter how easy it looks that only comes with practice. Painting marks with Gouache another form of mark making, the present, the gift, the practice, the result. Take a look at the images below to see some examples of the detail that can be achieved with pointillist drawings, notice how some lighter tonal areas are only suggested with a few very small dots. 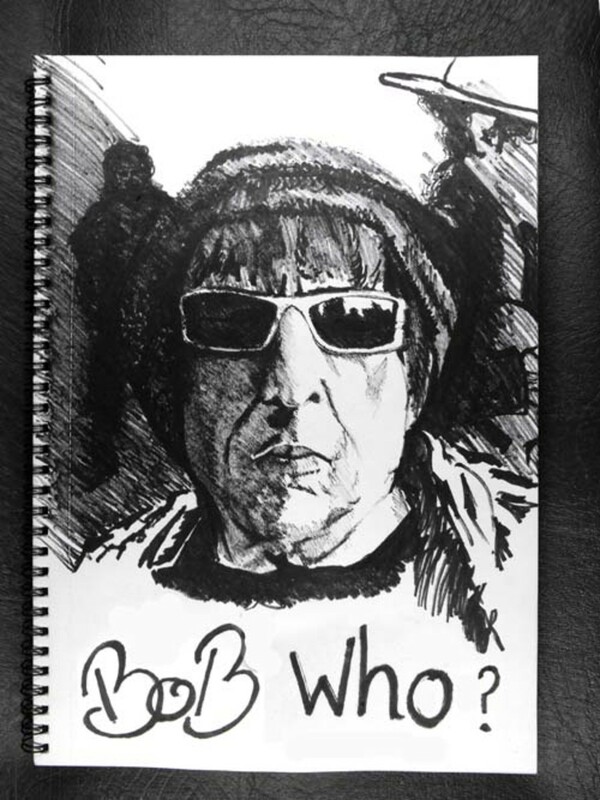 White or very reflective subjects work very well with a pointillist drawing style and need a lot less work because of the often large white areas created by the light being reflected from the surface. Pointillist mark making examples showing detailed subjects. The video below shows an example of marks that can be made with a digital pen being drawn onto a graphics tablet as another example of a more modern day tool used in drawing. Take a look at the detail for a variety of different marks used to suggest contours and shadows. Also remember that digital images when viewed very closely are often made up of pixels, which as we have described earlier, are another form of pointillism. A digital pen drawing, digital mark making. 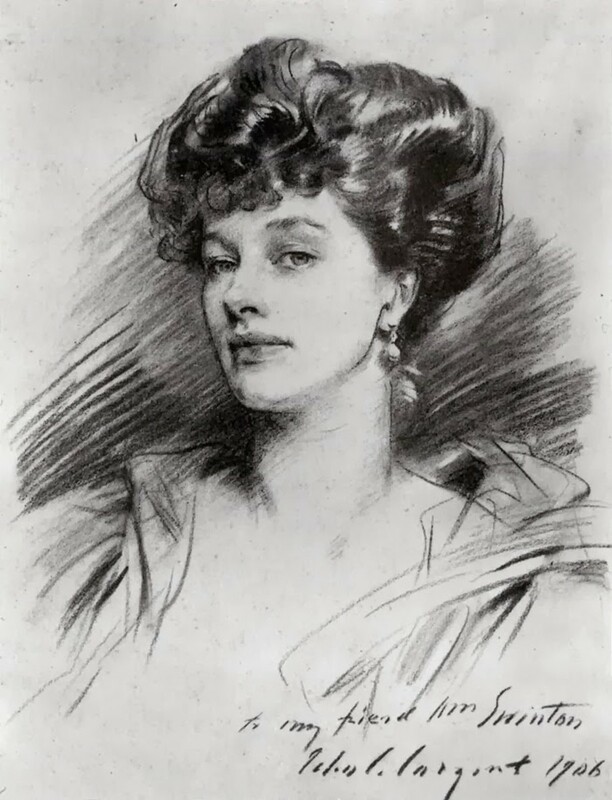 The image below was drawn with a traditional graphite pencil, the preferred choice of most people because of its simplicity, ease of use, and wide variety of marks it can create at varying strengths of tonal density. All drawings and paintings are made using a variation of different types of marks, some called hatching, others called tonal modelling. 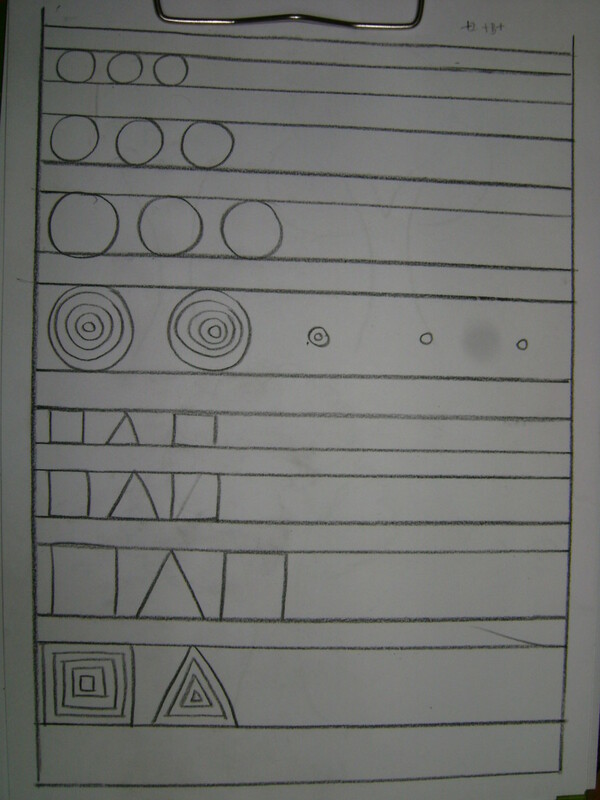 A pencil drawing containing all the different types of marks. 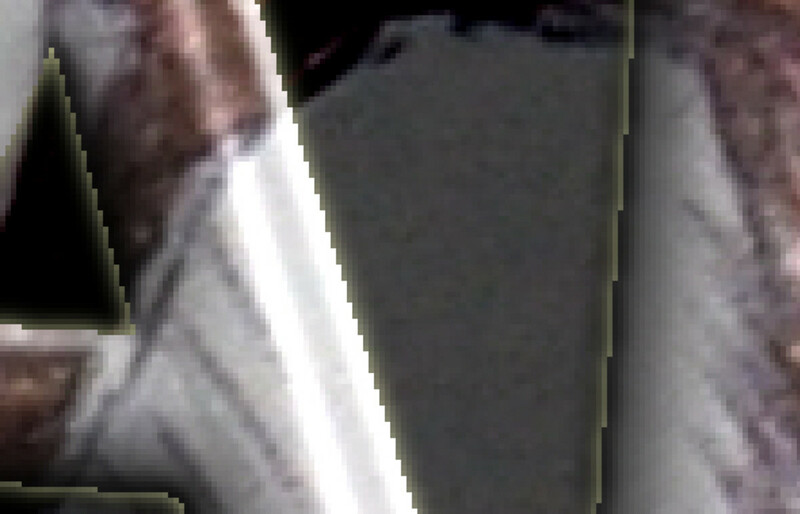 Marks that are made using tonal modeling techniques are areas of different tones or colors that blend and fade into each other with no hard or definite edges, like clouds in the sky which rarely have hard edges to them. Clouds in the sky are a good example of where tonal modeling would be used to represent something from life but another area would be skin or flesh tones because they usually display soft marks and shadows to create definition. Tonal modeling, cross hatching, clouds. The above examples of clouds show how tonal modeling is used. 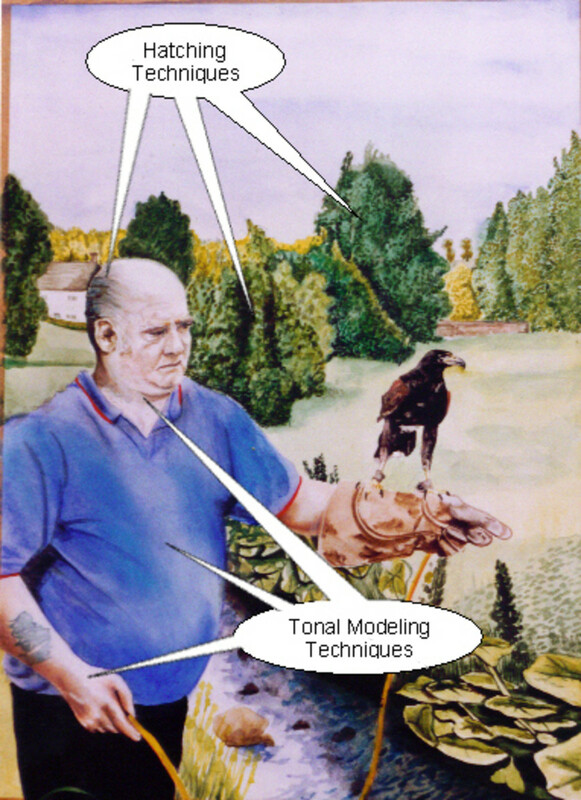 Clouds are most often represented with tonal modeling in this way but not always. 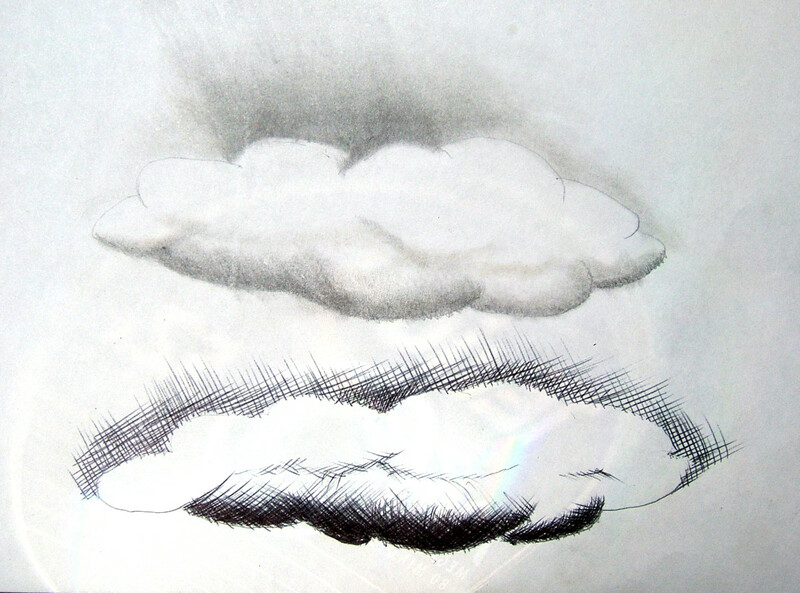 They can be represented with hatching techniques as also shown in the cloud example above. Hatching techniques are usually clusters of many similar marks that are like dashes or short and long lines that can be overlaid on top of each other or not creating harder or lighter tones. Drawing grass would lend it’s self well to the hatching technique. Hatching is the most often used technique in drawing and painting because it not only easily represents many natural textures it is also a more natural use of the tools used to draw or paint like pencils or brushes. Works produced using this technique can not only be interesting because of the subject matter but also the marks themselves can be interesting in detail. 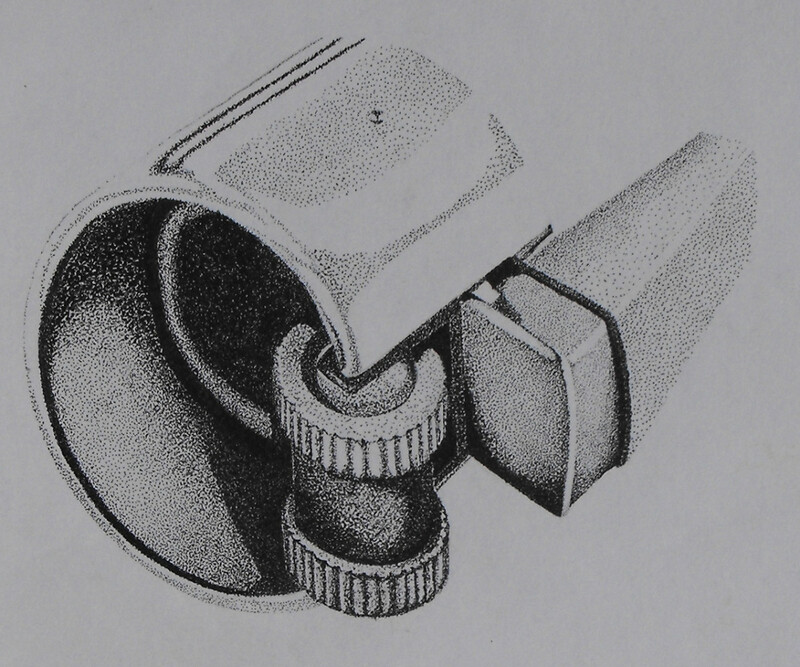 Below are examples of the hatching technique and show short strokes going in an outward direction from the center but all in one direction using a graphite pencil. Hatching example of pencil lines. Below is the cross hatching technique very similar to the above example but this time the strokes are going in different directions and crossing each other hence the name cross-hatching. 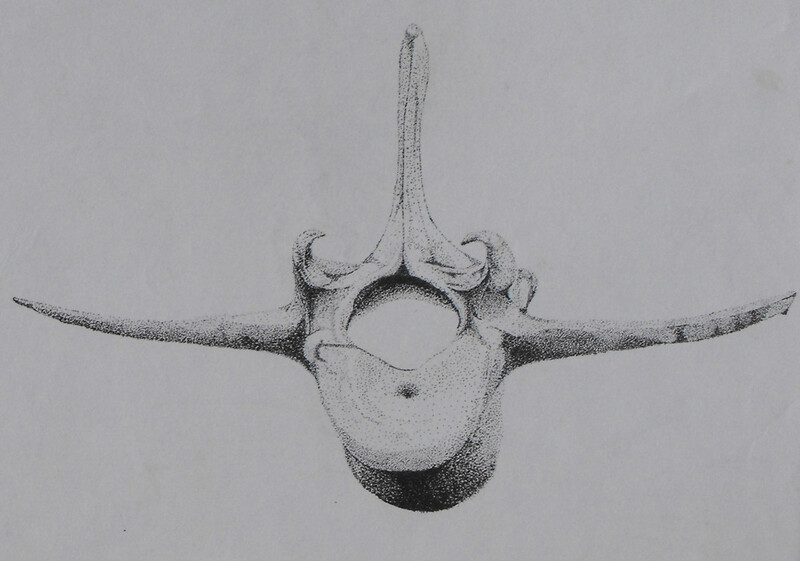 Cross hatching example with a pencil. 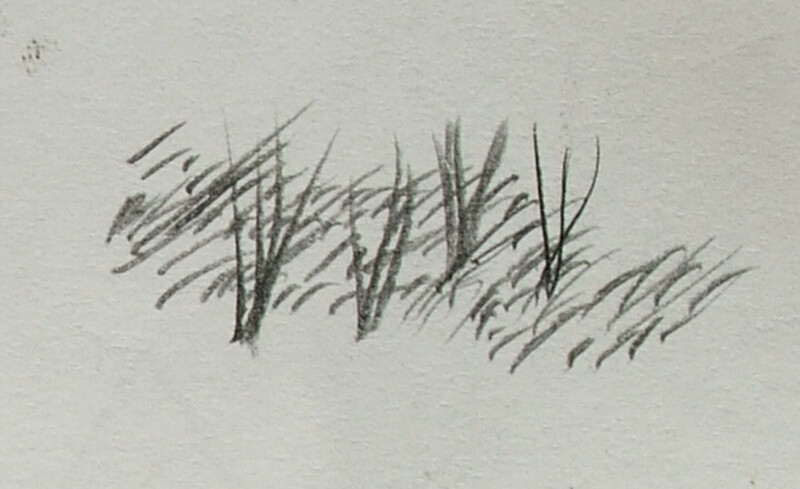 Example of using cross hatching to depict grasses. Although the example below is still a type of cross hatching it is not organised and uniform like the examples above. 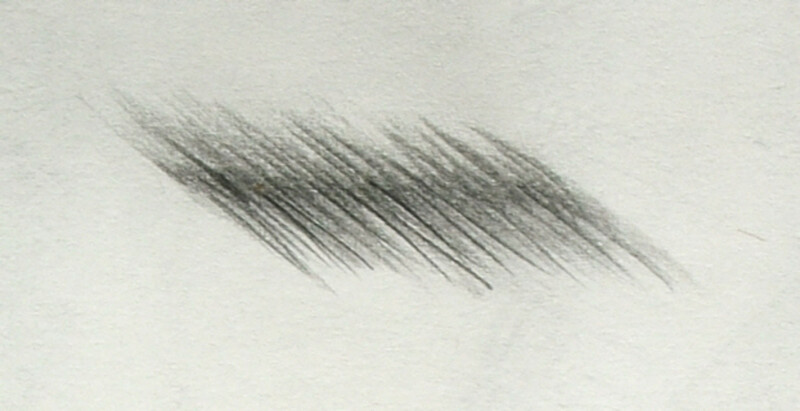 This is an example of how hatching marks can be used to depict more specific elements in drawing. It could easily be a representation of short grass with some longer grasses dotted here and there. Finally tonal modeling where the line is smudged from the center to create a graduated tonal effect going from strong tone to almost no tone and nothing. Graphite pencil modeled into the paper to make a graduated edge. 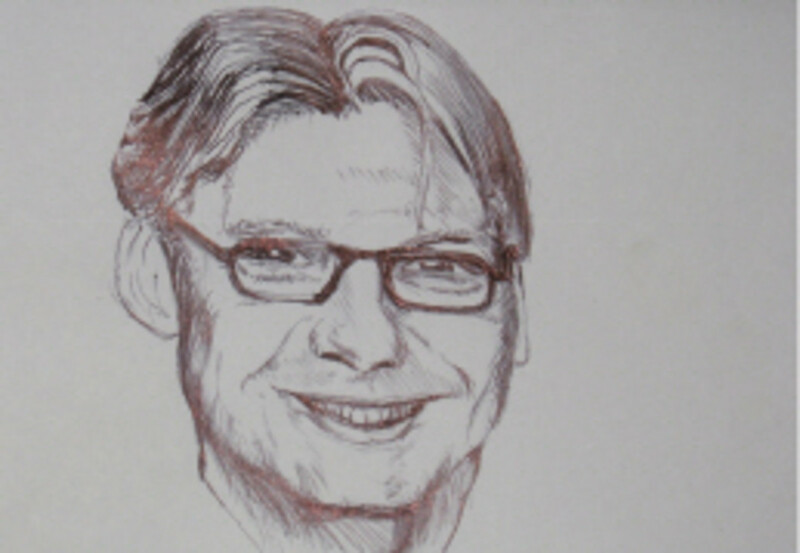 Below is a quick drawing made with a roller ball pen (Bic biro) it gives a further example of hatching and cross-hatching to create a facial image? There is no way of using a tonal modeling technique when using an ink pen because ink does not lend it's self to smudging or blending so this tends to be a useful tool for developing creative mark making. Drawing of a face using hatching and cross hatching marks. 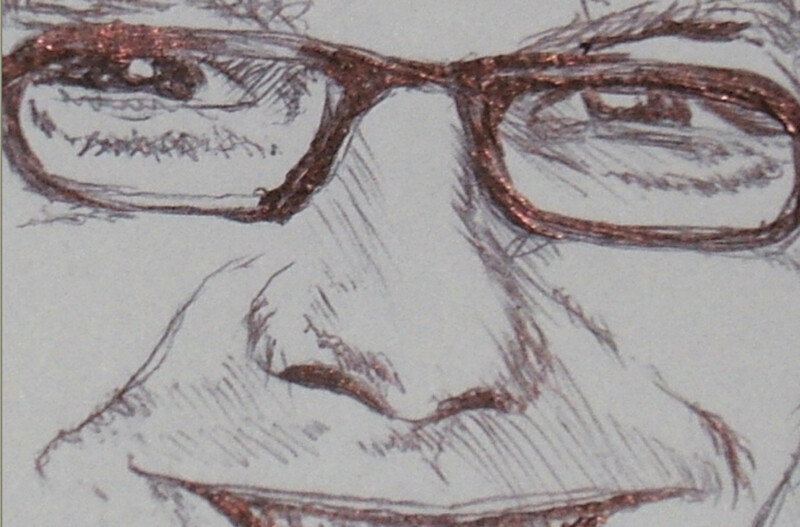 Close up to show the marks used in the drawing above. Below you can watch a video of a Ford Mustang Shelby GT500 being drawn with maker pens this will give you a peek at mark making on a grand scale where big bold marks are used to emphasize the contours and curves of the car body. You can see it come to life like a jigsaw puzzle made up of marks made with a marker pen, you can also follow the link to get a greater understanding of how it was drawn with still images and descriptions. Follow this link to see more about how it was drawn Drawing cars, Mustang Shelby GT500 with marker pens and pencil. Below is a painting using Gouache like you would watercolor with wet into wet techniques creating graduated tones and hues. 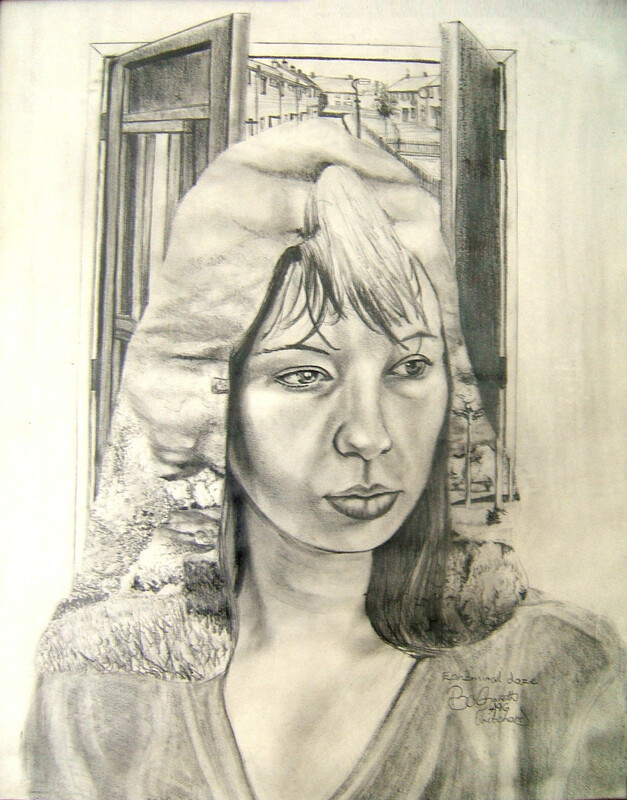 Pastel pencil has been used in this piece mostly as a means of softening the hard edges left by the paint in the fleshy areas of the main subject. There is a great deal of variation in different types of mark making and tonal modeling, it is an example of drawing styles being used with paints. A painting using many different marks. Finally below are some other examples of marks with symbolic representation. 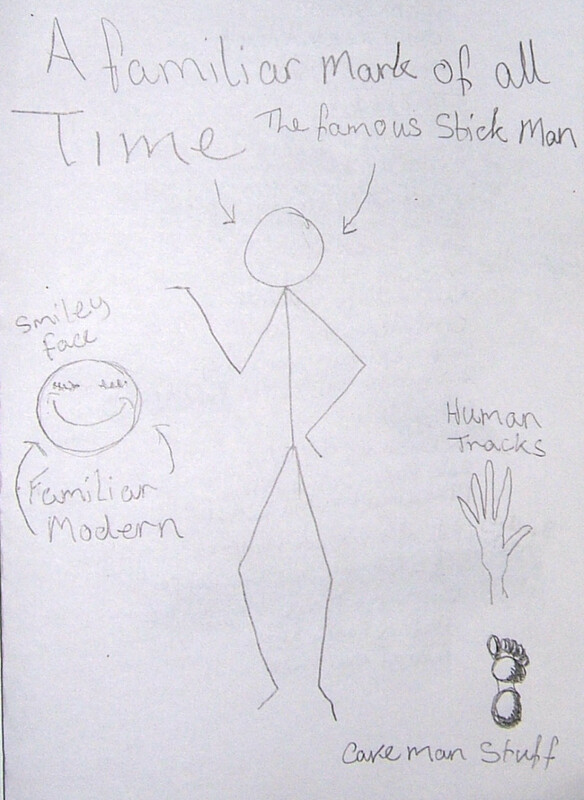 The stick man almost a cave man drawing. Mark making is everything in drawing and here's why. I have drawn the same images multiple times, they all look great, lol, but. Some look better than others because of the marks. When doing quick sketches in your sketch books, you make many of these marks quickly without thinking too much. Especially if you like to push yourself with time challenges. Like, life drawing, which is drawing something from real life, like a human figure but only giving yourself 5 minuets to do it. In these situations you tend to create marks that are worth looking at as these are the marks that make your drawings yours, we all have our own nuances. If you think about it these types of marks, hatching, cross hatching, pointillism and modelling, are naturally the only marks you can make with a drawing tool. Drawing tools are used in this way for that reason so even when you are in a rush and not thinking about what you are doing as much as you would normally, you will most likely be making all of these types of marks anyway. When I have shown other people these multiple drawing/paintings of the same subjects and asked them if one stands out more than the others they have often replied with a yes. When asked why they more often than not say it just looks better. It just looks better is just not good enough because I want to know why. When I have had the chance to push them harder to find out they have always said it is because the marks. Some marks look better in one rather than the others. By taking notice of the marks you make, why you make them, how you make them means you are focusing your skills and developing your drawing technique, style, method through experimentation and observation, action and reflection. Action and reflection is the bases for most everything we do, it is the learning process, just in case you didn't know. 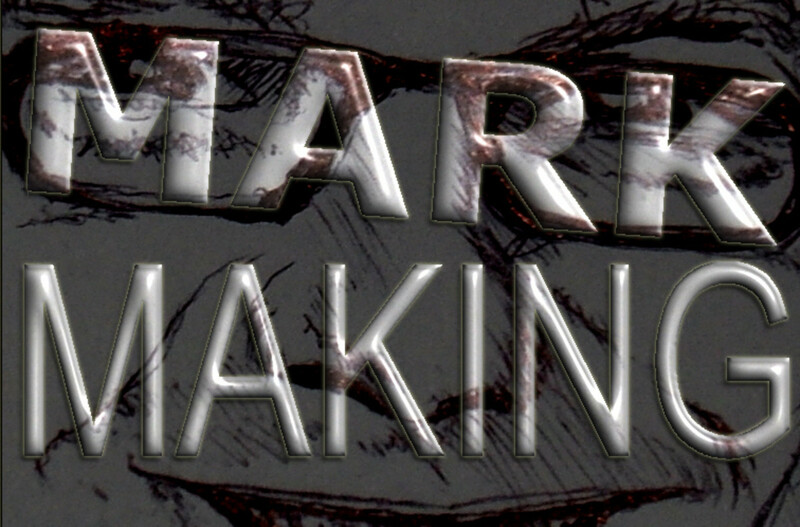 Mark making is what makes your drawing into a drawing. Mark making is king when it comes to drawing. How to draw information to learn more on the subject. How To Draw Easy Step By Step, DIY,Help, Free Tutorials. 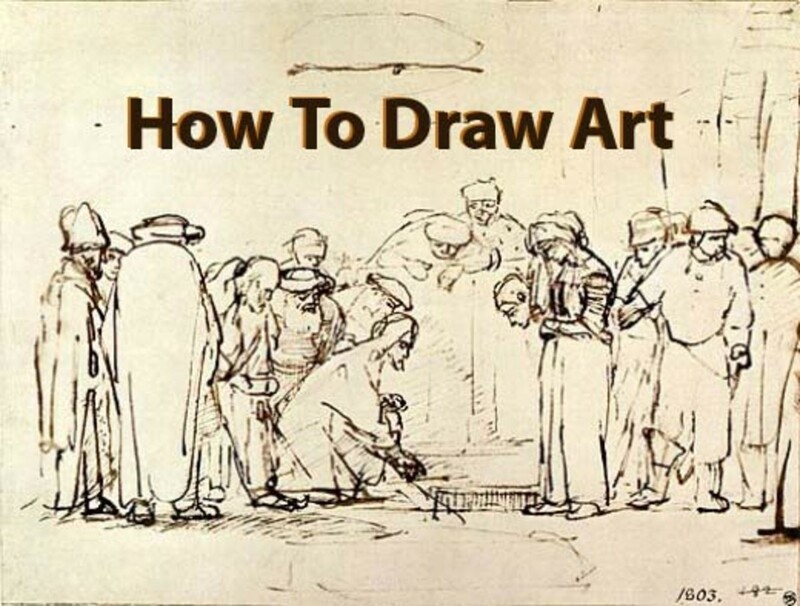 The above site brings a wealth of information and encouragement about how to draw easy, providing a best approach to find the perfect way for you to learn how to draw. Hi Perspycacious, thank you for the follow and the comment especially with all the nice words in up mode, cool. I am happy to have made many fine, interesting and rewarding stops to remember, as they are important to any journey or success. Thanks again for stopping by, Gareth. Up, Useful, Awesome, Beautiful, Interesting as well as fascinating, When you arrive at your destination you will surely realize how many good stops you have made along the way. Hi Sapphire, thanks for the virtual hug, you are welcome to the answers, I'd rather you didn't live in my head, I have enough to deal with now but it is like I have said, just ask and I will do my best to answer. The best way to learn is to just ask questions, most people will be glad to answer you and feel good about doing so. I am glad it has worked out for you that's great, how to draw easy without drawing blood and ripping your hair out, ask Gareth, lol. Design sheets, just in case you need some confirmation about them, are usually sheets with multiple sketches on them, that are all experimental. Usually these are all based around on idea or theme, so you might be trying to design a chair and you would have multiple chair drawings all on the same sheet. They do not have to be complete drawings and do not have to be well executed drawings, just multiple drawings on one sheet around one idea. For example you could have a chair drawing showing the over all shape of the chair and then have 20 different ideas, for how the feet of the chair might look. I used to do quick pencil drawing and then wash over them with different colored inks, quick transparent washes so the pencil marks would show through the inks. 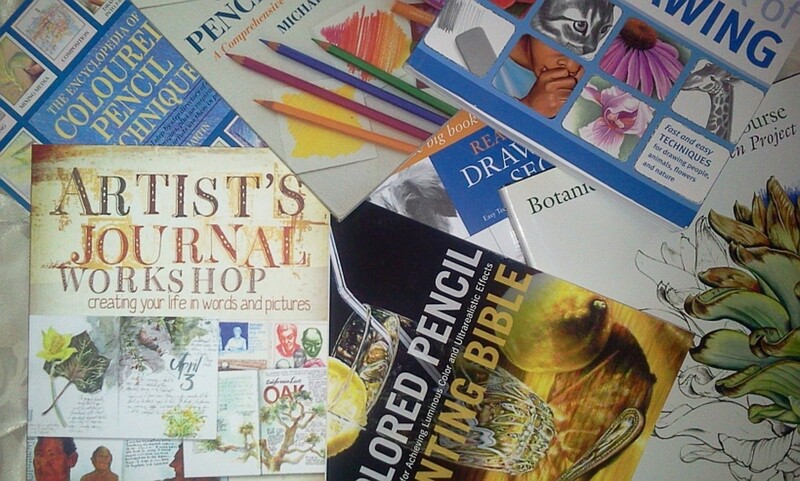 The bright vivid colors combined with the pencil marks and white of the paper used to make them look impressive, and busy, and that's what the lecturers wanted to see. Please the lecturer and you will be on your way to top marks, listen carefully to them and asked lots of questions if you can, impress them. All the very best, thanks for the comment, good luck, Gareth. Thankyou so much for this i have been stuck on the same question for over two weeks on my art course. On the verge of ripping my hair out and totally confused. Dear Josie, thank you, I like that great word, thanks again. That's because for many it is confusing as mark making is about the different types of marks that can be used to make up a drawing. All drawings are made up of marks and there are about 4 types of marks, hatching, cross hatching, tonal modeling and pointillism. The one thing to remember is all drawings are made of marks and the different marks you make, make up the drawing. Hope this helps and I hope your art camp goes well, thanks, Gareth. So mark making is just basically the way you use your tools? I'm auditioning for an art camp and one of the judging criteria listed was mark making and I was a little confused. Who are you and what do you want from me??? Ha, Ha. What is mark making indeed, to this I must say everything. Thanks for the comment, Gareth. Brilliant, you are very talented!